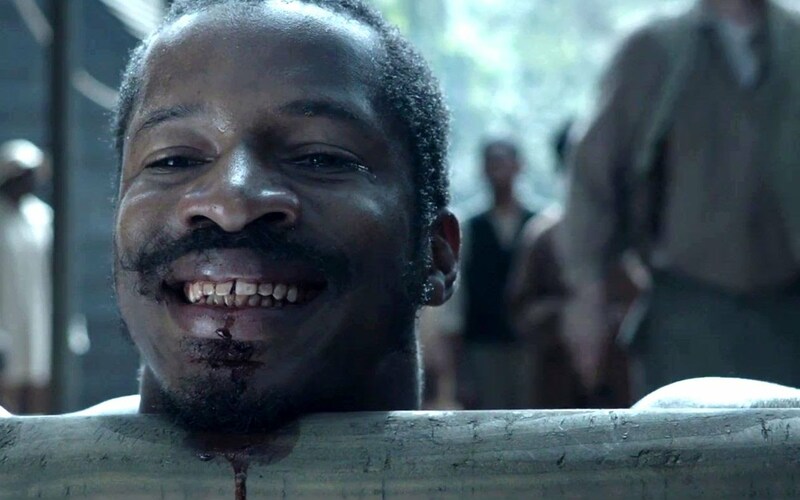 I'll never forget the harrowing experience that was Steve McQueen's stunning, and Best Picture winning, 12 Years A Slave. I was captivated by not only its unflinching exploration of man's own inhumanity towards his fellow man, but also the matter of depth that it displayed in regard to the relationship between the master and slave, and the toll that it takes on both parties. In short, it was a masterpiece, and I left the theater sobbing at something that had left me profoundly moved. At the outset of this year's festival offerings, the noise surrounding Nate Parker's adaptation of the true life story of Nat Turner's rebellion was awfully difficult to ignore. This is a tale that has the makings of a passion project classic. Parker, a first time director, spent seven years raising the funds to make this film a reality, and after this unlikely project finally hit the big screen the critical response from Sundance was near deafening. The reality is that sometimes these things just don't live up to the hype, and The Birth of a Nation is a misfire of fairly staggering proportions. While I'm loathe to compare two films just based on their subject matter and their non-fiction status, it's worth noting that everything that the aforementioned 12 Years gets right, The Birth Of whiffs on almost without fail. The problems center most firmly on the star and director himself. Parker, not the most dynamic actor, has woefully miscast himself in the central role as Turner. While he, to some degree, physically resembles the historical icon, his on-going, one mode, affable nature is often at odds with the script itself. There's many a moment throughout the film that is being portrayed for its heart-ripping nature, and the performers around him all are doing their yeomen-best to portray the awful goings on, between the merciless beatings, the forced feedings, the inhumane conditions and everything that built toward Turner's heroic band finally saying they would take no more from those that would seek to oppress them. But anytime these horrendous scenes occur, Parker has the same dumb-founded look on his face that parlays very little other than "this guy isn't a terribly good actor". By contrast, everyone around him has to in-turn pick up the slack, and often end up looking like overacting Summer-stock players because of it. At the same time, the other anchor Parker brings to the film is that he is an unexperienced filmmaker, and it shows far too often. While there are some powerful moments, far too often are they relegated less to the struggle of the person these moments of strife are being inflicted upon, but instead viewers are kept in firm view of the film's central player. Even after the savage beating of one very important character, a scene that I found particular anger-inducing in all the right ways, the camera barely stays with this person and instead focuses on Parker, rendering that person an after-thought for his anguish. Beyond that, there are sequences where Parker tries to imbue the story with symbolism that charts Turner's journey, but each effort in that vein comes off more hackneyed and amateurish than the one before it. By the time a character shows up wearing angel wings, I had to stifle the audible groan that was nearly going to overwhelm me. It's just an amateurish effort all around, with little of the insight that this material was screaming out for. All credit to Parker for graphically portraying the savagery of slavery, but the film has so little else to offer, it never really elevates itself beyond being a particularly bloody Lifetime take on these events. A huge disappointment, and frankly, no visual in the film is anywhere near as powerful as the poster that promoted it: a close-up of Parker as Turner with an American flag tied around his neck as a noose. That's a movie that looked like it had something to say.